VetDepot is not a pharmacy. We partner with Allivet Pharmacy ("the Pharmacy") to process, dispense and ship all prescription orders. The Pharmacy is fully licensed, regularly inspected, and can ship and dispense to all states except Arkansas and Hawaii. Please place your order online for the product you wish to order. 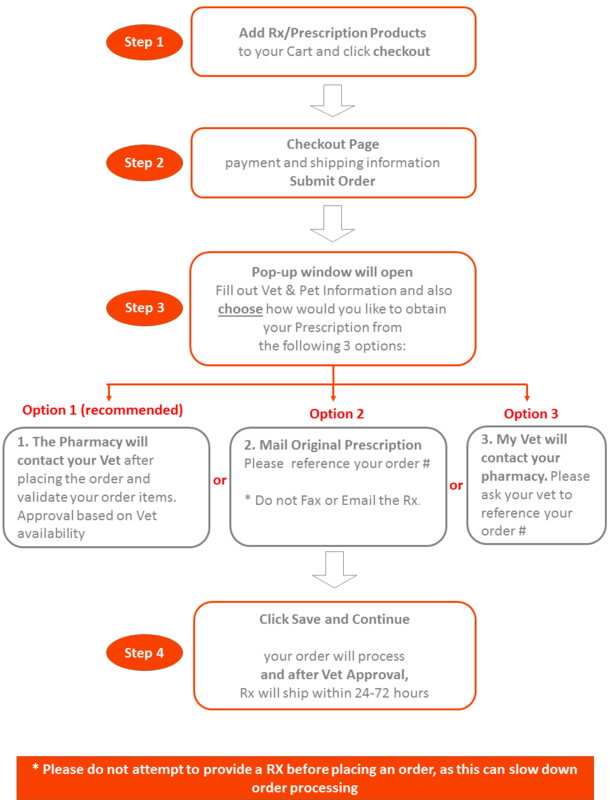 If you do not have a prescription, the Pharmacy will contact your veterinarian directly after placing the order. Your veterinarian can also call or fax a prescription directly to the Pharmacy after your order is placed. The Pharmacy is unable to accept prescriptions emailed or faxed directly by the customer.